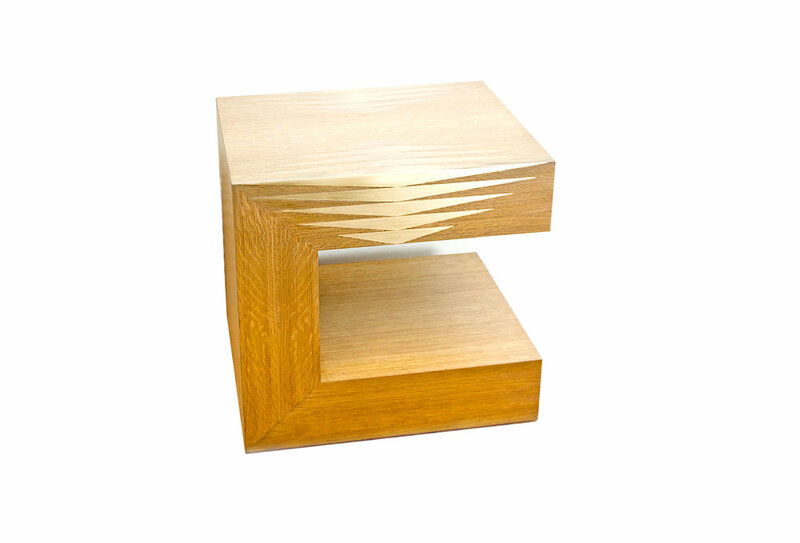 Geometrical cantalevered oak veneer side table with a brass inlayed chevron pattern. 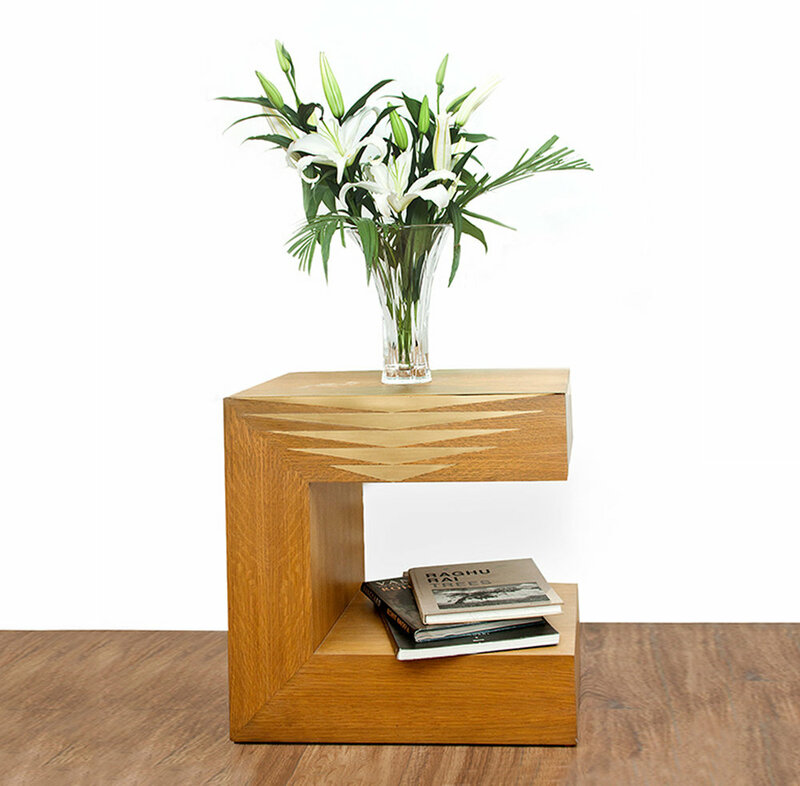 Works in a bedroom as a bedside table or nightstand, and in the living room as an end table or side table. Also suitable for use in the hospitality industry.